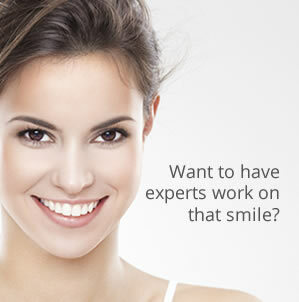 This year why not treat yourself to a brilliant new orthodontics smile? A quick fix such as teeth whitening is great to create a lovely gleaming bright smile and understandably many people do this in time for the Christmas social season. But what if teeth discolouration is not the only problem? What can you do if your teeth are crooked, misaligned or over-crowded? How then can you obtain that lovely attractive smile you’ve always dreamt of? The answer is really rather simple … orthodontics. Orthodontics treatment doesn’t happen overnight and it does take time, and even though many people consider it to be mainly for children, the truth is that it is perfectly suited for adult teeth too. So as a treat for yourself this Christmas why not enquire about the expert orthodontics treatment that is available at Carisbrook and ensure you have a brilliant new smile in time for next year … a perfect smile that is not just for Christmas but will also last for life. One of the main concerns of people who contact us to enquire about orthodontics treatment is the worry about having to wear unsightly braces for several months while their teeth are gently eased into the correct position. Let us put your mind at rest … today’s braces include many that are virtually invisible! All orthodontic treatment at Carisbrook is carried out by our specialist orthodontist, who incidentally, works on Saturdays for your convenience. Among the more recent developments in orthodontics braces – all of which are available at Carisbrook – are these very discrete innovations. So discrete in fact that practically no one apart from yourself will even be aware that you are wearing orthodontics braces! In addition to the traditional ‘train-track’ braces that everyone knows about, our incognito braces are fixed to the back of your teeth where they simply cannot be seen. Another system of ‘invisible’ braces that are expertly fitted behind your teeth to discretely correct unsightly misalignment. An ‘invisible’ solution using transparent aligners that are comfortable to wear and can even be removed when you eat or are attending an important social event. Individually made especially for you, these advanced braces gently ease crooked teeth into the correct position, but they can also be removed for eating, socialising and cleaning. Right now it couldn’t be a better time to enquire about orthodontics treatment at Carisbrook because we have a very special £500 OFF offer. For more information about the different orthodontics treatments we provide as well as this great offer you can call us on 0161 951 7295 or alternatively you can contact us by using the online form on our Appointments page.